This is a sponsored post written by me on behalf of Foster Farms. All opinions are 100% mine. Road trips make for some of the best family travel memories! 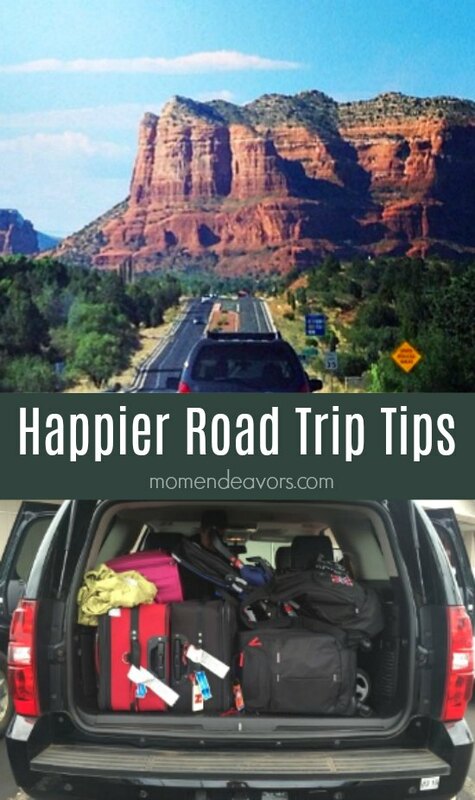 So we’re sharing 5 keys to a happier road trip today to help ensure your next car trip is more fun for the whole family! 1. Be Prepared. As fun as spontaneity can be, road trips aren’t always a great idea if you’re not prepared. So, first and foremost, make sure the car is ready & safe for a road trip (tires check, oil good, etc.). And make sure you have anything special you might need for the current season. That might mean making sure you have plenty of water in hot months or extra blankets in the winter. Nothing can put a damper on your fun quite like getting stuck somewhere – even worse if you’re stuck and unprepared in bad weather! 3. Snack Variety – Pack some protein!!! 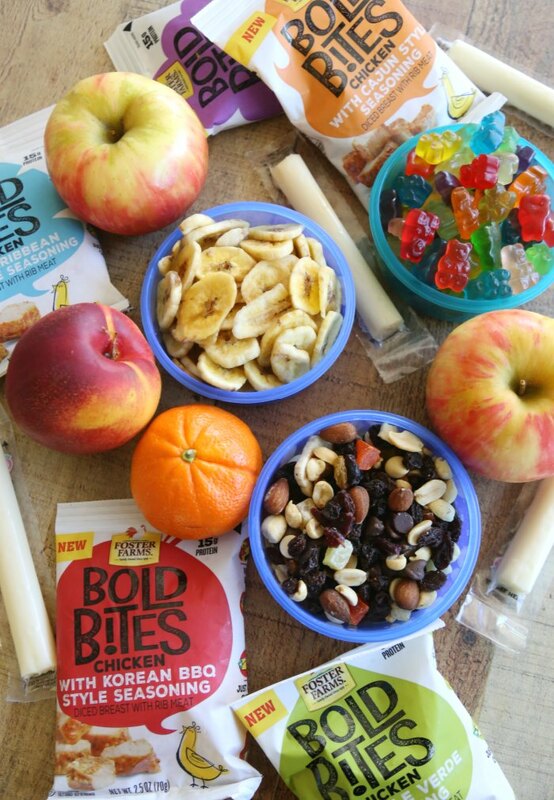 Snacks are a MUST for a happier road trip! And while some classic road trip snacks and treats can be fun, I really think having a variety of snacks is key. After all, no one likes feeling bloated and crummy after filling up on not-so good food all day. So, I like to pack some healthier items like fruits & veggies in addition to the treats. Also, packing protein is good too. 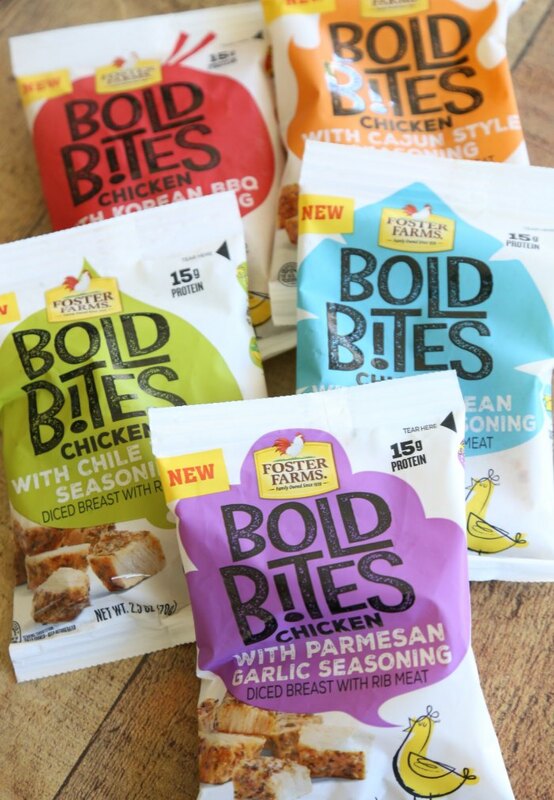 One new, fantastic option for this is Bold Bites from Foster Farms! 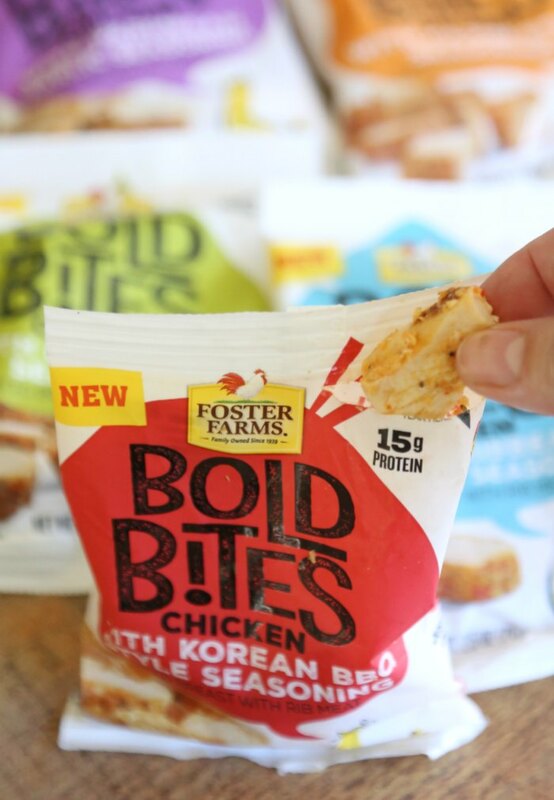 These Bold Bites are whole chicken breast meat that’s already been cooked, chopped and flavored, packed with 15 grams of protein and no nitrates, nitrites, artificial flavors or colors! Awesome, right?! The zesty flavors include Caribbean Jerk, Cajun, Parmesan Garlic, Korean BBQ and Chile Verde – YUM! And since they come in cute, little individual packages, the Bold Bites are perfect for on-the-go situations like road trips! 4. Great Car Music. Music jam sessions in the car are some of our favorite things on a family road trip! So, make sure you have a stash of CD’s or a great playlist on your phone. You don’t want to get stuck in a radio dead-zone with no music on hand! 5. Fun Stops. Before heading out, have a list of some possible fun stops along your route! After all, no family road trip is without enjoying some fun or unique stop along the way! Whether it’s a kitschy spot, a historical landmark, fun park, or cool road side attraction, be sure to give yourself some options of fun stopping places before you head out. Not only is it great to stretch your legs, but these stops can also be great stopping points for meal time or snacks! 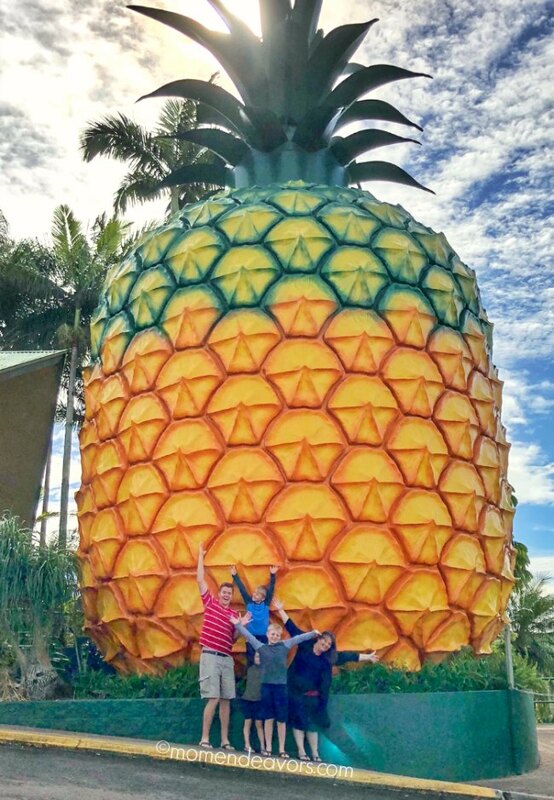 They can even make a great spot for family photos (like our giant pineapple road trip stop in Australia 😉 )! So, prep your car, research some fun stops, grab some cleaning supplies and a healthy variety of snacks (including Bold Bites), crank the tunes, and enjoy a fun family road trip! What makes for a happier road trip to YOU?